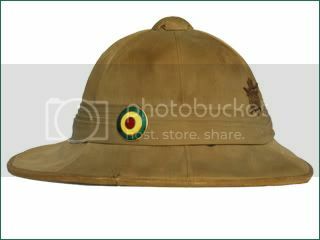 During World War II the Ethiopian Army fought along side the British to liberate their nation from the Italians. 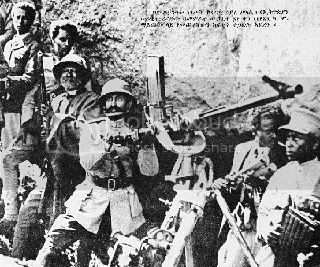 These Ethiopian troops were armed with British weapons and equipment, including sun helmets. This example was made by Walter Barnard & Sons of London. A period photograph showing Ethiopian soldiers during World War II. 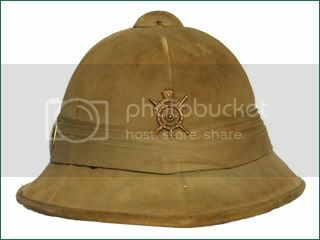 Prior, during and after World War II the Ethiopian army used the British Wolseley pattern sun helmet. 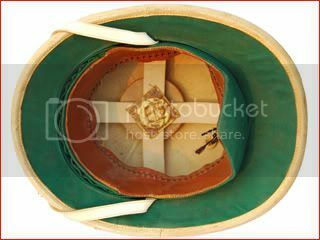 These featured the tri-colored Ethiopian cockade on the side, along with a military badge on the front. 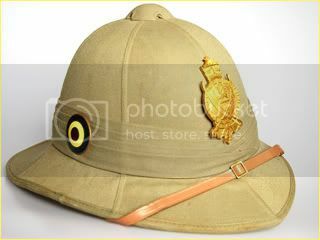 This example likely dates to the late 1930s prior to the Italian invasion, and features an Imperial Guard insignia on the front. 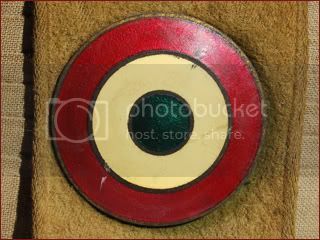 Notice that this features the pre-war cockades, which are red, yellow and green - and which were reversed to green, yellow and red following the war (possibly because the red/yellow/green looked too much like the Italian red/white/green). 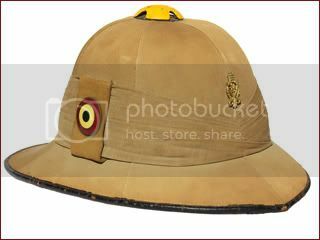 Following World War II the restored Ethiopian military continued to use a variety of British-styled pith helmets. 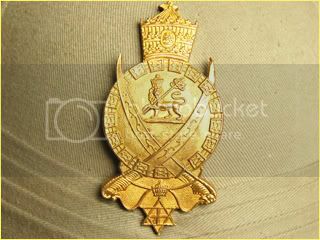 These featured the tri-colored Ethiopian cockade on the side and badge on the front. 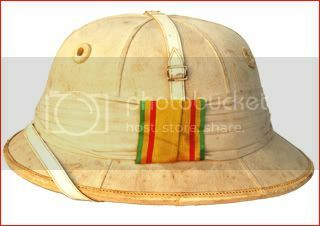 These helmets remained in service until the Ethiopian Civil War of the 1970s. These were likely Belgian made originally and were produced locally in Ethiopia following World War II. These feature fewer folds in the puggaree than the pre-war versions. 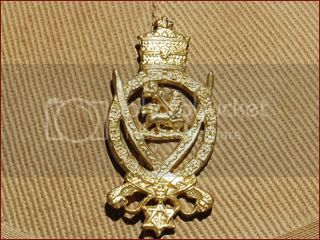 This example dates to the 1960s, and features the army infantry badge on the front. 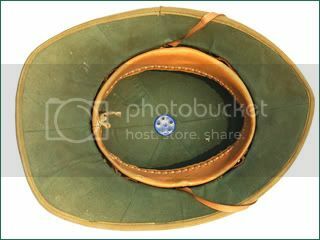 This Ethiopian sun helmet dates to the 1960s and features the insignia of the Royal Ethiopian Cavalry, a larger version of the Imperial Guard badge.